In a bid to cater for customers' mobility needs other than the purchase and service of luxury or value brand vehicles, Coscharis Mobility was incorporated in 2013 as a vessel for providing solution to consumer specific needs. At Coscharis Mobility our services include but are not limited to car rentals (short & long term), leasing, logistics, haulage services, drivers & staff outsourcing and fleet management. 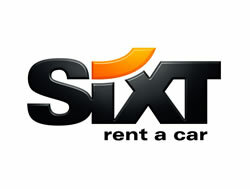 It is the sole franchise operator of SIXT Rent A Car in Nigeria. Through the supply and management of drivers and vehicles to private individuals, corporations and institutions alike, our top class fleet and rentals continuously provides a supportive, cost efficient means of transportation. Currently located in Lagos, Port Harcourt, Abuja and Kano; Coscharis Mobility aims to be an integral part of the day-to-day business processes of its clients making life easier as it supports your mobility requirements. CONNECT with our sales personnel about opportunities surrounding your next fleet purchase & management. Find out about our committed aftersales personnel and MUCH MORE. Web Design & Content by iNspire.